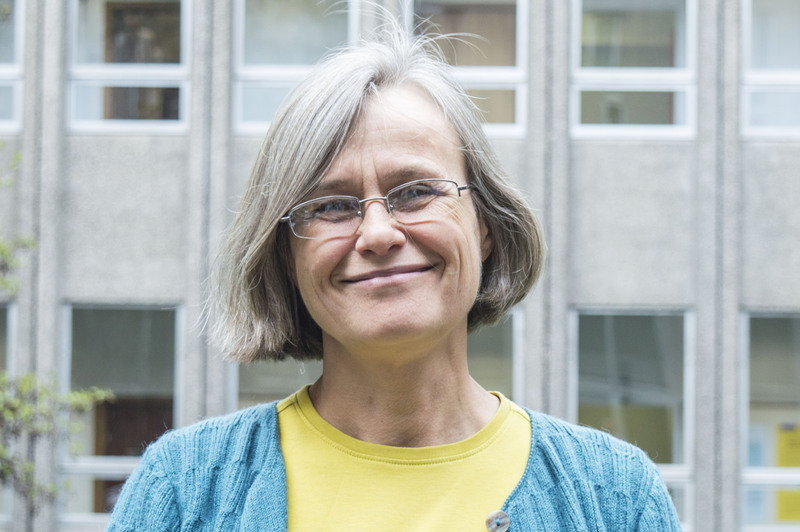 Diana Mitlin is Professor of Global Urbanism in the Global Development Institute at the University of Manchester and also Principal Researcher at the International Institute for Environment and Development. From 2015, she has been Managing Director of the Global Development Institute. Her work focuses on urban poverty and inequality including urban poverty reduction programmes and the contribution of collective action by low-income and otherwise disadvantaged groups. She has had a particular research focus on issues of urban basic services, tenure and housing. And has worked studied urban social movements and their strategies of confrontation and collaboration with state agencies. She is currently coordinating a research and learning network to scale up participatory planning funded by the Leverhulme Trust. Please see the opportunities tab for PhD supervision interests. Diana’s earlier work has been brought together in two co-authored volumes (with David Satterthwaite): Urban Poverty in the Global South: Scale and Nature (2013) and Reducing Urban Poverty in the Global South (2014). Other publications include Empowering Squatter Citizen (2004, Earthscan with David Satterthwaite), Confronting the Crisis in Urban Poverty (2006, ITDG with Lucy Stevens and Stuart Coupe), Can NGOs make a Difference? The Challenge of Development Alternatives, (2007, Zed Books with Tony Bebbington and Sam Hickey), and Rights-based Approaches to Development: the Pitfalls and Potentials (2008, Kumarian Press with Sam Hickey). She regularly write journal articles, edits and contributes to special issues, and authors chapters in academic and professional books. Her research has been funded by the ESRC, DFID and other bilateral development assistance agencies, UN agencies and non-governmental agencies such as Comic Relief. For the last 20 years, Diana has worked closely with Shack/Slum Dwellers International, a trans-national network of homeless and landless people’s federations and support NGOs; and with the Asian Coalition for Housing Rights, a network of civil society groups focussing on urban poverty and exclusion. This collaboration enables her to learn from the experiences of grassroots organisations in addressing social injustice, poverty and inequality. At GDI, Diana contributes to a range of graduate courses including those on urban planning, social development, civil society, poverty and inequality and development theory. In 2015, Diana joined the Research Committee of the Economic and Social Research Council (ESRC). She began vice-Chair in 2016 when she joined the ESRC’s newly-formed Expert Group on International Development. She has previously been a board member of NGOs in the UK and beyond. Diana completed her first degree in 1983 at the University of Manchester with joint honours in economics and sociology. After working as a public sector economist with the Forestry Commision (1983-6) and the Monopolies and Mergers Commission (1986-8), she completed a Masters in Economics at Birkbeck College (University of London). She then joined the International Institute for Environment and Development (IIED) in London in 1989 to work in a multi-disciplinary team working within the Human Settlements Programme. Development has remained the major focus on her work since that date with a particular interest urban inequality and poverty in towns and cities in the Global South. In 1996, she worked part-time for the London School of Economics to set up a Masters in NGO Management. In 2001, she completed a PhD at the London School of Economics. In 2001 she took up part-time at the Institute for Development Policy and Management (IDPM, now GDI) at the University of Manchester, whilst continuing with a senior research post at IIED. In 2012, she became Professor at the University of Manchester, and Director of the Global Urban Research Centre (GURC). The work of this Centre has now been taken up by the Manchester Urban Institute. I completed my first degree at the University of Manchester with joint honours in economics and sociology. After working as a public sector economist with the Forestry Commission (1983-6) and the Monopolies and Mergers Commission (1986-8), I completed a Masters in Economics at Birkbeck College (University of London). I joined the International Institute for Environment and Development (IIED) in London in 1989 to work in a multi-disciplinary team working within the Human Settlements Programme. Development has remained the major focus on my work since that date with a particular interest urban inequality and poverty in towns and cities in the Global South. In 1996, I worked part time for the London School of Economics to set up a Masters in NGO Management. In 1999-2000, I was on secondment with the Peoples Dialogue on Land and Shelter in South Africa. In 2001, I completed a PhD at the London School of Economics. From 2001 to 2012, I worked part-time at the Institute for Development Policy and Management (IDPM) at the University of Manchester, whilst continuing with a senior research post at IIED. In 2012, I took up a professorship at the University of Manchester, and became Director of the Global Urban Research Centre (GURC). From 2016, I have been Director of the Global Development Institute, which combines IDPM and the Brooks World Poverty Institute. I have served as director and chair of the UK charity Homeless International, and have also been a trustee for Practical Action (formerly Intermediate Technology Development Group) and been a member of the Programme and Policy Committee of WaterAid. At present I am a trustee for the Urban Poor Fund (Netherlands). In 2015, I became a member of the Research Committee of the Economic and Social Research Council (ESRC). From 2016, I have been vice-Chair of this Committee and of the ESRC's International Development Expert Group. I am an economist and social development specialist working both at the Global Development and International Institute for Environment and Development. My major focus is on issues of urban inequality and poverty, and urban poverty reduction, in particular in the area of secure tenure, basic services and housing including shelter finance.I have written on poverty programmes and approaches to poverty reduction, and work closely with Shack/Slum Dwellers International, a trans-national network of homeless and landless peoples federations and support NGOs.Publications include Empowering Squatter Citizen (2004, Earthscan with David Satterthwaite), Confronting the Crisis in Urban Poverty (2006, ITDG with Lucy Stevens and Stuart Coupe), Can NGOs make a Difference? The Challenge of Development Alternatives, (2007, Zed Books with Tony Bebbington and Sam Hickey), and Rights-based Approaches to Development: the Pitfalls and Potentials (2008, Kumarian Press with Sam Hickey). My research has been supported by the governments of the UK, Sweden, Finland, the Netherlands, international agencies including UN-Habitat, UNFPAandUNDP, and several trusts and foundations including the Ford Foundation. At GDI, I contribute to a range of graduate courses including those on urban planning, social development, civil society, poverty and inequality and development theory. India, Kenya, Namibia, Philippines, South Africa, Thailand, Zimbabwe. What are the institutional implications of co-production as a strategy for development?